Octa-core Superphones: When a Single Core is just not enough! I was surprised to hear that the Samsung Galaxy phones will have an Octacore processor (a processor with 8 cores). A smartphone is essentially a computer – like our home computer. What do we really do on a home computer? We surf the Internet, create documents, and play movies. Among other components, a computer contains a Central Processing Unit (CPU) to perform all these tasks. 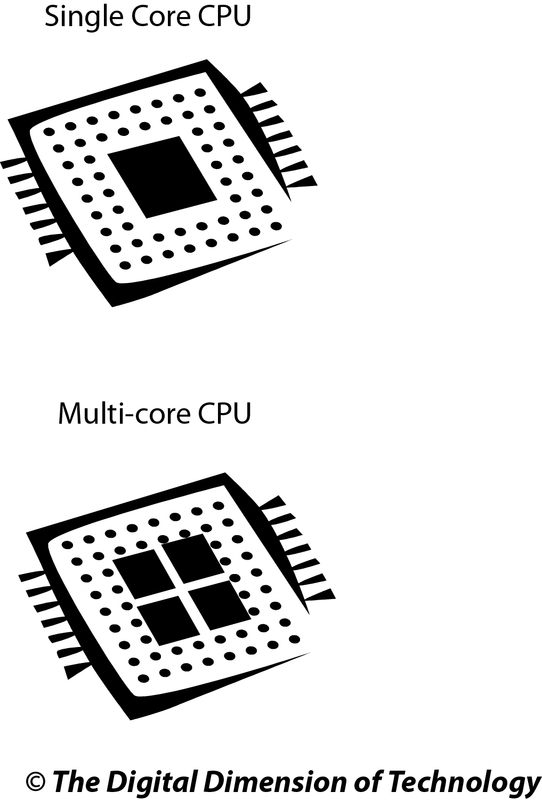 Traditionally, older CPUs had a single core. How does a motor vehicle with an internal combustion engine work? Scooters have an internal combustion engine with a single cylinder, piston, and a spark plug. When fuel is injected into the cylinder, the spark plug creates a spark and the explosion pushes the piston. Consequently, the scooter moves forward. With a single cylinder comes a limited amount of power. In comparison, the engine of a car has four cylinders. Four cylinders give more power than a single cylinder. More interestingly, the work is equally divided amongst the four cylinders. As a result, one cylinder is not overloaded and one cylinder never overheats. Let’s compare the processor with an engine and the core with a cylinder. The biggest challenge chip designers face today is the inefficiency of a CPU in terms of heat emission. Like single cylinder engines, CPUs with a single core produce a lot of heat which makes them inefficient in terms of power consumption. To solve this problem, chip designers created a multi-core processor (like the multi-cylinder engine). The processing is divided between multiple cores thereby reducing heat emissions and consequently reducing power consumption. It is common to see dual-core or even quad-core processors in computers today. So far, phones usually had a CPU with a single core. With the launch of Samsung Galaxy, we are entering a new era of smartphone computing. The Samsung Galaxy S6 has an Octa-core processor (8 cores). Why does a smartphone need so much power? When a home computer can do everything with a slower processor (and single core), why does a smartphone need a faster processor (with 8 cores)? Proximity Sensor turns the screen off when you hold it to your face. Ambient Light Sensor automatically adjusts brightness. Accelerometer senses movement and orientation. Temperature Sensor measures the temperature. Humidity Sensor measures the humidity. Magnetic Sensor measures the magnetic field. Gesture Sensor senses your hands to navigate. Infrared Sensor turns the phone into a remote control. Eye Tracker pauses video when you look away. NFC (Near Field Communication) shares data by touching two phones and also enables mobile payments. Dual Cameras are available; one on the front and one on the back of the phone. Both cameras can record simultaneously in the Samsung Galaxy S6. Dual Microphones are used in the phone; one microphone for voice and the other to listen to the ambient noise and create anti-noise using the noise-cancelling system. These sensors constantly gather large amounts of data and need constant processing. A CPU must have multiple cores to compute all this data simultaneously. The CPU assigns tasks to different cores, keeping a single core from overheating. Less heat is generated and hence, less power is consumed. Next time you use your smartphone, you might want to count the number of sensors it has. 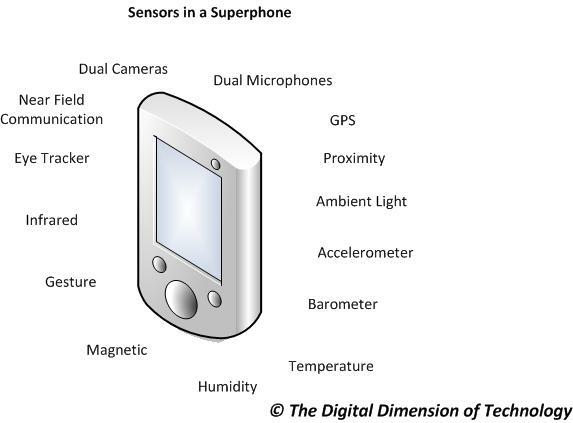 It would be really interesting to see how many of us are able to identify all the sensors on our smartphones! great one.. V detailed and easy English!! Welcome to the world of ‘Touchless’ Smartphones! Is Your Printer ‘Cloud Ready’?